digital-media-lab - research: Is Your New Lead Generation Team Ramping Up Too Slowly? 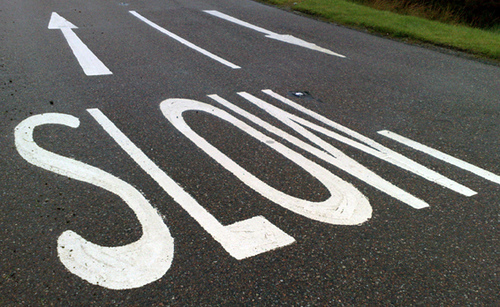 Is Your New Lead Generation Team Ramping Up Too Slowly? In my last post I wrote about understanding the lead generation – sales activity funnel. This is a model that will show you how many calls, conversations, appointments, and opportunities your team needs to generate on an annual, quarterly, monthly, weekly, and daily basis in order to hit you goals for pipeline and revenue. That is an extremely powerful concept that every lead gen manager should understand. However, the one thing missing from the model I described is the important dimension of time. Even after you’ve plugged all of your numbers into the model, after you know how many reps you’ll need to hire and how many leads they’ll need to stay productive, don’t forget that generating qualified opportunities and revenue takes time. Devon McDonald just wrote a great post on a similar topic in which she points out that sales leaders’ expectations of time-to-revenue from a new lead generation team are often completely unrealistic. Time to hire: If you’re starting from scratch, you’ll need to take into consideration the amount of time it takes to recruit your team. In my experience it typically takes 5 – 7 weeks to find and hire a good group of two or three lead gen reps.
New hire ramp time: Once you hire a new lead gen rep he or she doesn’t start off automatically hitting the daily and weekly goals on Day 1. Since we are trying to figure out a formula for consistent results, you will need to know how long it takes him or her to reach full productivity (consistently hitting goals). Ramp up time can vary greatly company to company depending on the complexity of the product, target market segment, target prospect personas, and of course the amount of resources that you apply towards training your new reps (among other factors). The Bridge Group’s 2012 Lead Gen Metrics report, which surveyed 197 B2B technology companies, found that the average time to full productivity for a new lead gen rep was 3.1 months. Time to opportunity: The average amount of time elapsed from when a lead gen rep first starts calling a contact to when that contact can be marked as a qualified opportunity. I use “time to opportunity” here because that is when the new lead gen rep’s work actually hits the pipeline. However, you can actually break “opportunity” down to any level of granularity depending on your process and definitions. You could alternatively measure time to response, time to appointment set, time to appointment completed, and time to opportunity. Choosing just one or two metrics simplifies the formula. Average sale cycle: The average amount of time from when an opportunity is created to when an opportunity is closed. You should know this already if you have a sales team. Using the numbers in this table, and assuming your conversion rates hold, it will take 9 months before consistent revenue is being generated by your new lead gen team’s efforts. To put this in further context, let’s go back to the example I started with in my last post where the goal for the new lead generation team is to generate $20M in pipeline for a new business bookings target of $5M for FY 2013. In order to set yourself up for success in FY 2013, you should have already started recruiting your team in April 2012. So if you’re concerned that your new lead generation team is not delivering the results you had expected, just plug your numbers into a table like the one above and see if the numbers add up. If you’ve hired good people, invested the appropriate time and resources to train and support them, and they are within the projected time to results based on the table, it’s likely that your expectations are what needs adjusting, not your lead gen team.